An ideal postcard for your stall or event. 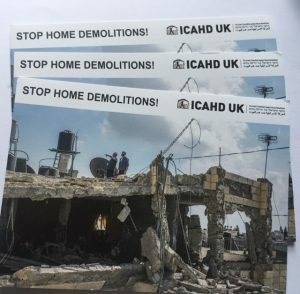 A6 size postcard with picture of a home demolition on one side and information about us on the reverse. 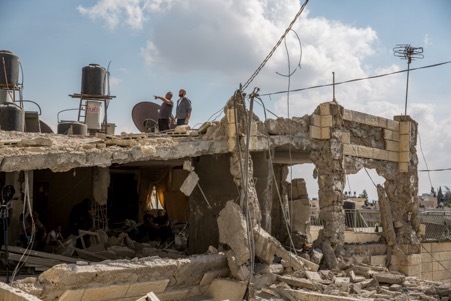 Encourages those in the UK to support ICAHD and get involved. Cost is to cover cost of postage and contribute towards printing. Thanks for your support. 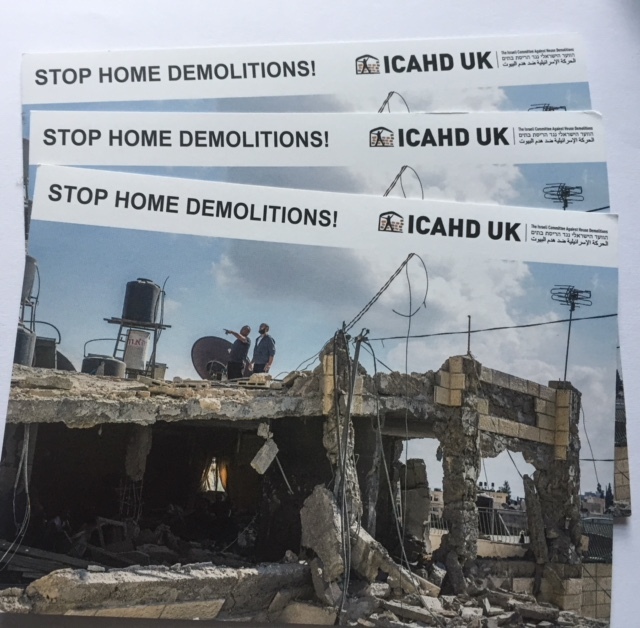 This postcard encourages UK residents to find out about ICAHD’s work and get involved. It includes contact information about how to contact ICAHD UK. It is an ideal resource for events and stalls across the UK.